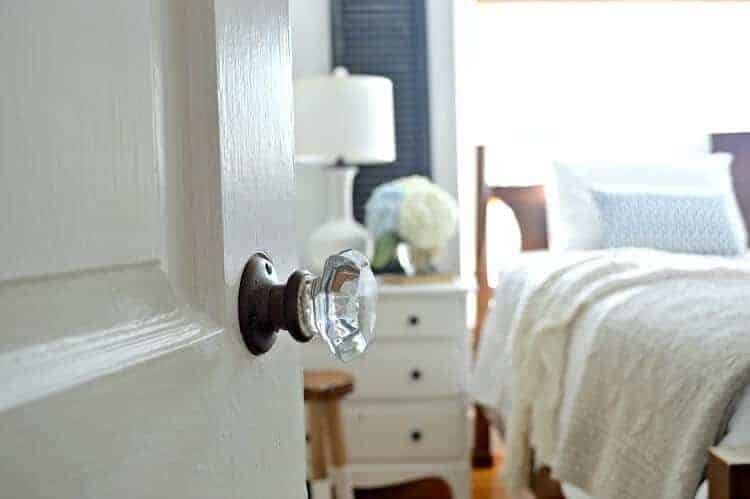 An easy way to reuse old wooden shutters in a master bedroom. I’m not sure what’s happening but it seems that I’m developing a theme windows lately. It started with a thrifted old screen, then it was custom curtain rods and sheers in the living room, and now it’s old wooden shutters. Hey there and welcome to another Thrifty Style Team day, where a few of my talented blogging friends and I share how we style or makeover our favorite thrifted finds. Today is all about a pair of old, rustic wood shutters that I found for a steal. I actually bought these shutters for $10 from an estate sale when we lived in Illinois. I found them hidden in the back of a garage, all full of cobwebs and filthy dirty. They weren’t pretty but they were intact and without any rot so I knew that a little TLC would fix them right up. We’d been searching garage sales for shutters for our dining area window for months. Shutter that we were able to find were either rotted beyond repair or way too expensive. These were just right so I knew they were winners. I took my prize home and was trying to figure out how I was going to hang them when the hubs took the new job in NC. I wasn’t about to get rid of them after all of that time spent looking, so we packed them up and moved them with us. Fast forward to decorating our current master bedroom. We have a small master bedroom, as in teeny tiny, and decorating it has been a challenge. Fortunately (or unfortunately) we have 2 large windows, which is great for light but makes decorating a bit tricky. Most people would put curtains on the windows to soften the room but that’s just not my style (although I did make one exception here). Besides the fact that I don’t care for them, curtains would have closed in the room, which is already small. I felt that simple was best, so I hung my trusted woven wood shades and called it a day. I added the typewriter table turned nightstand and lamp on the hubs’ side of the bed, but felt like something was missing on the window. Then I remembered my old wooden shutters hanging out in the basement. They would be the perfect touch. 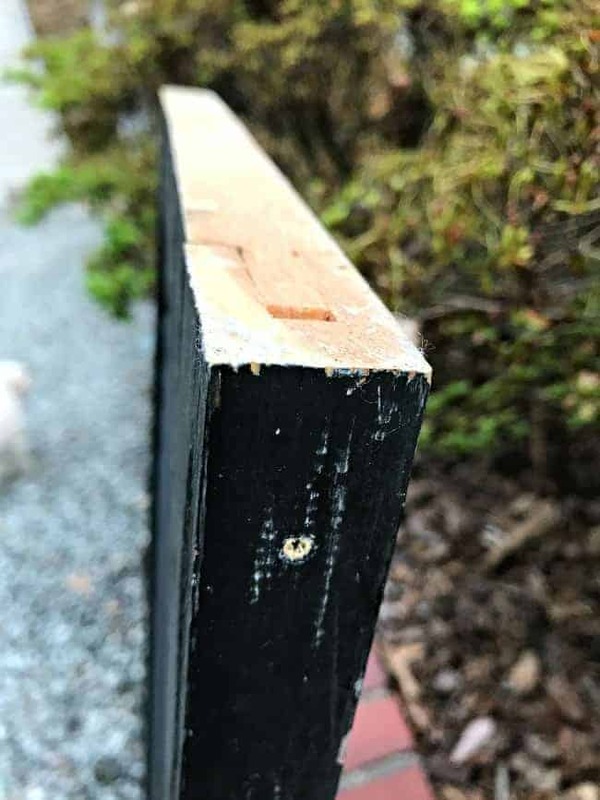 All they needed was a good cleaning, a trim to cut them to size and a few screws to secure the sides. I like the idea of adding a touch of black in the room so I just kept them as is. Now I just need to finish the rest of the room. Have you found any new ways to use a thrifty find? Remember to stop back tomorrow. I’ll be sharing an update on the powder room addition. The thrifty goodness has just begun. See what the rest of the team has done with they’re thrifty finds. And I live the typing table that you painted white…can you tell me the colour of paint? I love the places you add the shutters look so pretty and classic looking. I love your window shades. They just look restful, and I”m sure they work great keeping out the light when you need it to. 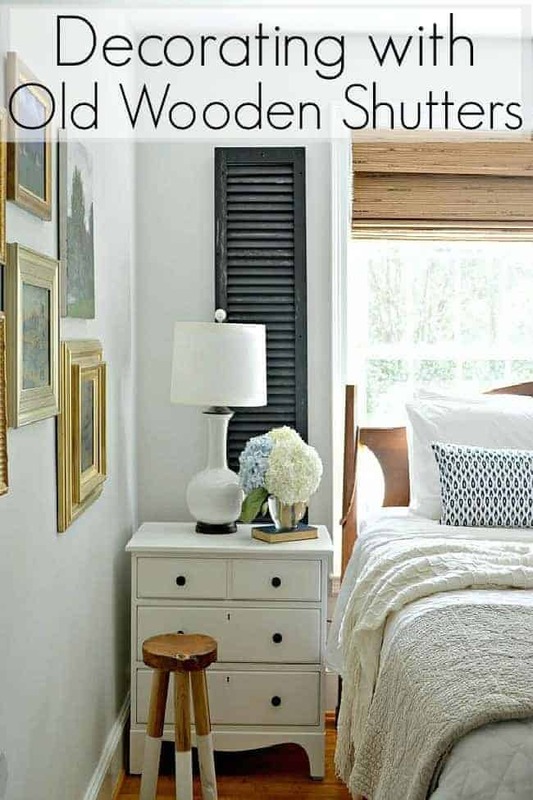 Totally LOVE the black shutters and how you’re using them! They look like they fit the space just right and bring in the room somehow. Good choice! You did get a good deal on those! Thanks so much for your sweet comment Florence. The woven shades do work well at keeping the light out in the morning. We love them. I do like the new shutter decor. But the shiny white typing table stopped me dead in my tracks! I have one of those in my studio and had considered chalk paint but the high gloss look you did definitely caught my eye. I am assuming use found a high gloss spray paint and used that? You fdefinitely have me thinking and the mental wheels are spinning now! 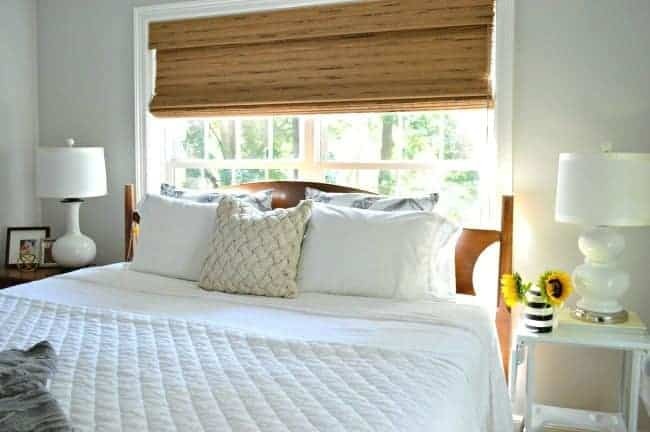 Those shutters look amazing in your bedroom. I love the color (decorating with black is one of my favorites) and you placed them perfectly. You really did get a steal at $10.00 for the two shutters. They look great in your bedroom. I like how they provide definition and an architectural statement in the space. Very nice addition to your decor! This looks great! I love the black and the texture it adds. I saw that you painted the nightstand and that looks great too. In scrolling through the pictures I really like the lamps. They are similar but different. If you wanted to make them match a bit more you could always paint the chrome trim black to match the other. It really looks so nice. Love the shades too! Thanks so much Julie! I wasn’t sure I’d like the differences in the lamps but they’ve grown on me. 😉 It helps that they’re both white and have matching shades. All the other little differences kind of melt away (if that makes sense). Thanks for stopping in and I hope your foot is feeling better soon. I broke mine twice in 2 years so I know what it’s like to be laid up with a bum foot. These made such a gorgeous addition. They look amazing. I love that stool too. Your bedroom is just so happy and inviting. Thanks so much Jessica, I appreciate it. It’s been a tough room to decorate (because it’s so small), but it’s coming together. 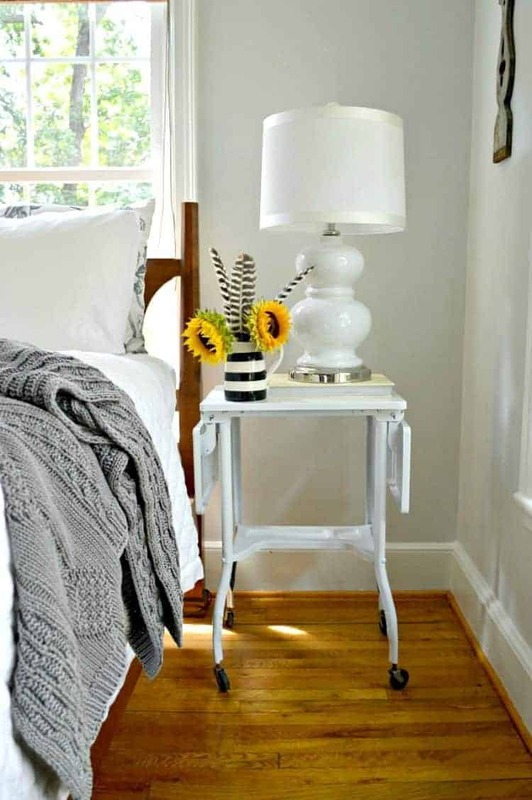 I love the pop they add to the room with their charm! I just did something recently on our back porch! Thanks Cindy! Love decorating with shutters. your bedroom looks lovely. I really like the mix of the wood shutters and the blinds. Kristi, This look is perfect in your home. You are so talented and have great vision. Thanks for inspiring me. Your bedroom is absolutely lovely, Kristi. And I think the shutters are the perfect touch…so glad you hung onto them! I’m so glad that I hung onto them too, Kristi. Thanks so much! 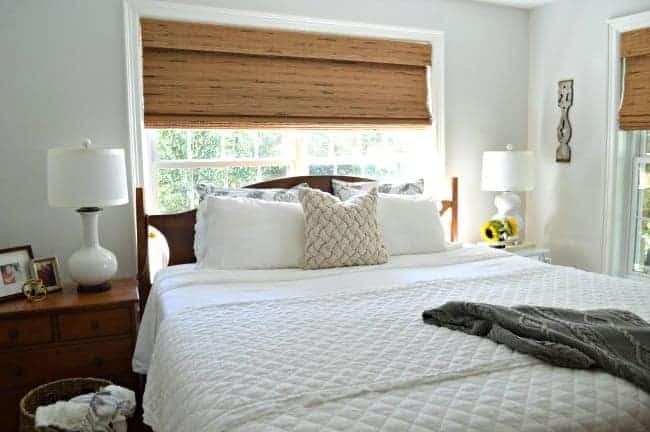 Kristi, I am loving those black shutters in your bedroom! They frame the windows beautifully. You’ve given me such a great idea for our guest bedroom! The shutters look so perfect!! They truly added so much charm and character to the room and just that right finishing touch. The whole room is just lovely! Thanks so much, Vanessa, I appreciate it! I’m so glad that we moved them with us. Hahaha I did the same a few years back with a set of black shutters around my bedroom window. I was not very smart with the chippiness, mine really needed a sealer to keep the awesome chippiness from getting all over the floor! Old shutters are some of my favorite things to pick up at garage sales. I think I have made something for each of my 2 oldest kids as well as myself, so I guess I have to replenish my supply. If yours go missing that’s why. It’s funny that I would see shutters everywhere we went before I wanted them. After I decided to try to pick some up…none to be found. 😉 I’m glad I finally found these though. Your black shutters look beautiful – actually they look like they were custom made for your bedroom. So glad that you kept them for your move to NC. Your master bedroom decor is stunning! Thanks so much Vicki and Jennifer. I’m just glad I didn’t let the hubs talk me out of keeping them when we moved. 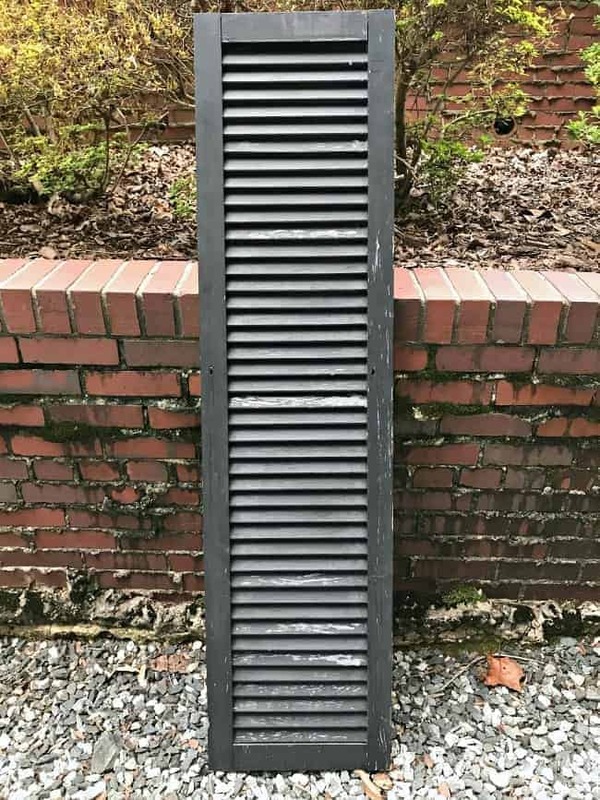 Groan, when I think of all the shutters like yours we had to leave when we moved from KY. My son took them out of house when he remodeled it before we bought it. Had to leave old wood windows, old wood doors and those wonderful shutters.. It killed me, hubs kept insisting we didn’t have room in truck, but I think we could have piled all that stuff on top, make better use of truck. If there’s an inch I’ll find something to put in it. When I think of all that stuff could have used to make things and decorate our house want to thump the Mr. Your shutters make a wonderful statement in your room, which is very nice. Love how restful and serene your room looks. I hear you JaneEllen. We left a lot of great things behind when we moved too. I’m just glad I held onto the shutters. I’m still getting used to having such a small bedroom. I’ve never needed a large space but this is definitely tiny, and a decorating challenge. Sounds like you live in a great part of the country. It’s wonderful that your health has improved with your big move. My daughter lives in Denver and I love to go out and spend time. I do love NC. My only wish is that my girls were nearby. Hopefully someday. Thanks for stopping in and sharing. Hope you have a great day! Thanks Jillian! It’s nice to hear that I’m not the only one who isn’t a fan. 😉 I’m just glad that I could use the shutters and I didn’t have to hang curtains. Thanks so much for stopping by. Hope you have a great day! I like the added touch, it’s like the icing on a cake. Maybe that’s what i need. Thanks so much Marlene. I think it was just what our room needed. Hope you try it in your space. 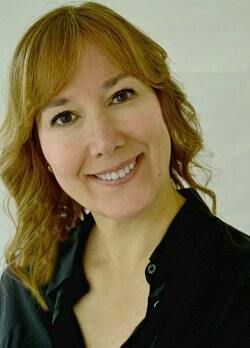 Glad to have you here Laura. 😉 My oldest moved to Denver about 5 years ago and loves it. I try to visit at least once a year, and just got back from a great visit. Love Colorado! I agree, shutters would be perfect with your coastal theme. Hang in there, you’ll find the perfect ones when you least expect it. 🙂 It took me months to find these. I love the black shutters! They make a great statement where you have placed them! Awesome! Thanks Sue, I appreciate it! I’m so glad that I was able to use them in our new house. Kristi, I love the black shutters combined with the woven blinds, so much warmth and texture. What a great addition to the master! Every room needs a little black! Fabulous! Thanks Kim! I love to sneak a little black in each room. Wow what a great idea. I like to add a touch of black to each room as well. I read in a design magazine once that it anchors the room. 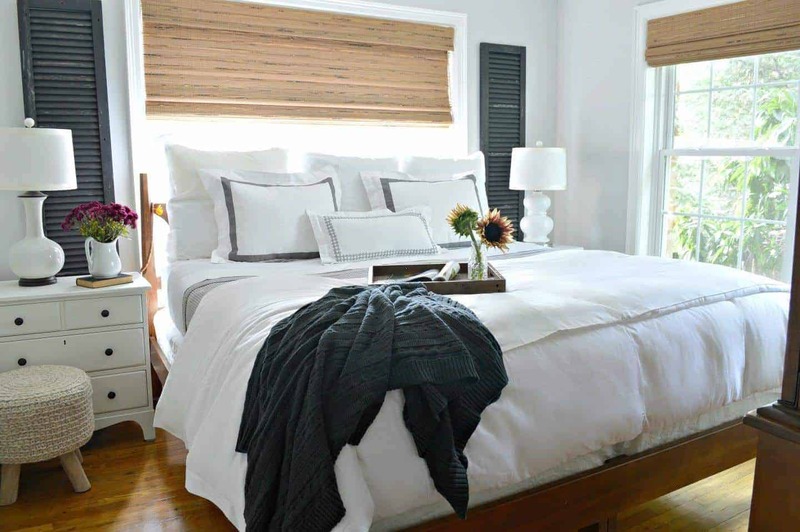 Your shutters were the perfect addition to your bedroom. How do you get to the other blogs. I see link pictures for four of them but much more are listed as part of the team. Have a great day Kristie. You should be able to see the other blogger’s post today. I had to post a day early because I had a bathroom update scheduled.